They are likely to stay and live on board the BFR while they build the first Mars city. Elon Musk has spoken time and again about his grand plans to land people on Mars within the next ten years. A new rocket is under construction now, however, details about the actual habitat where the people will live and build is scarce. Apart from a video and a short tweet, there is really not much information on the living quarters on Mars as such. Paul Wooster, principal Mars development engineer for SpaceX, has now revealed small details on where and how the first humans will land on Mars, stay and inhabit the planet on the way to making humans a "multi-planet species". SpaceX's plans on two separate missions -- first, a robotic launch as early as 2022, which will carry supplies and other material to Mars and wait for a few years so that the next rockets could land humans on the planet, who will then make use of the material sent in advance and build a city. This was the initial idea that Elon Musk himself presented in Australia last year. However, according to a report by Cnet, Wooster, speaking at the Mars Society Convention explained that the initial Mars landings are likely to be based off the landed BFRs. Early on, he explained to the crowd, "they're [BFRs] very valuable on the surface of Mars. You'd actually be having most of the ships stay and you'd be operating using the various systems on them to support the activities there." "Very much early on they'd be sitting there indefinitely," he explained. The First BFRs sent to Mars will be required to stay back at the red planet, explains Wooster until their usefulness as a transportation device outweighs its need as a life support system there. 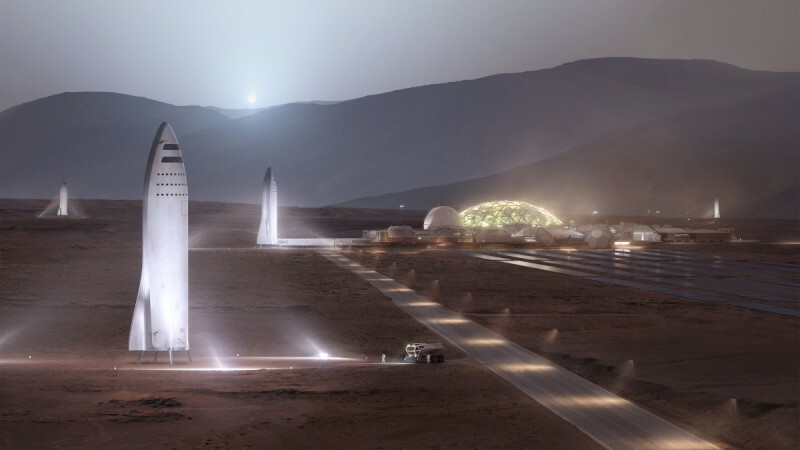 That means the first people who land on Mars are likely to live in the BFR they landed on while at the same time, building the first Martian city and the infrastructure needed. Wooster also spoke of Musk's initial plans to build not just a base on Mars, but a nice place to live and work in. He wanted to start with a small settlement and then expand to multiple towns and even cities, said the report. 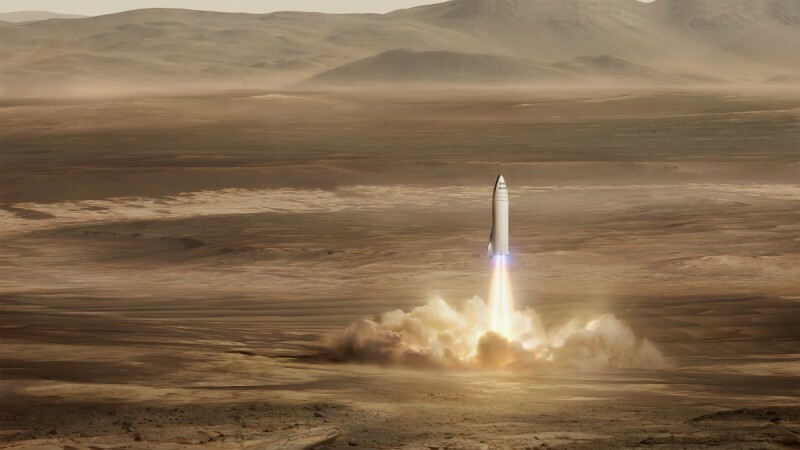 One of the most important factors to achieving this plan to build settlements on Mars, according to Wooster, is the sheer size and capacity of the BFR spacecraft, saying it is able to lift "100 tons of useful payload to the surface of Mars."